Katie Loxton's ever popular Chloe bucket bag is back for winter in a statement metallic silver! It’s the perfect way to carry your everyday essentials around stylishly. 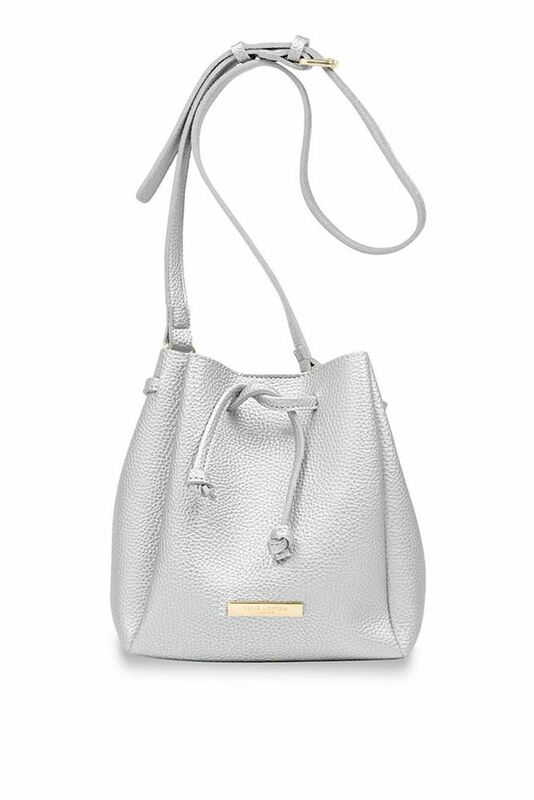 Katie Loxton's ever popular Chloe bucket bag is back for winter in a new mini version! Finished with a soft suedette fabric in this seasons must have colours, it’s the perfect way to carry your everyday essentials around stylishly. This new mini version is the ultimate day to night bag for winter. We hope you love it as much as we do!